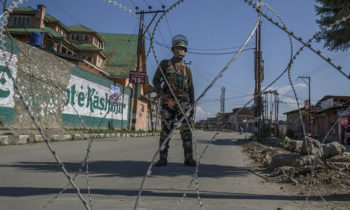 The former Norwegian Prime Minister, Kjell Magne Bondevik, has said that the miseries of the Kashmiris should end now. Kjell Magne Bondevik speaking at a seminar on Kashmir organised by his organization, Oslo Center, in the capital city of Norway, expressed hope that the Kashmir dispute would be resolved soon. “We have a deep interest in the issues existing in the region, including the problem of Kashmir,” he added. 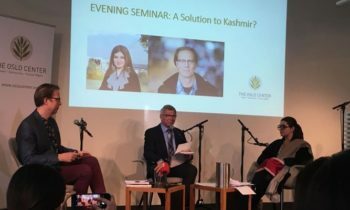 The seminar was also addressed by Mushal Malik, the wife of Jammu and Kashmir Liberation Front Chairman, Muhammad Yasin Malik, and Prof Sten Widmalm, a professor of Political Science, Uppsala University of Sweden. 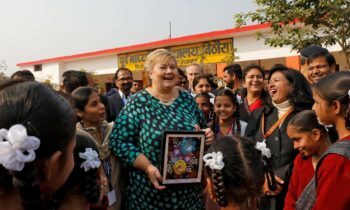 The former Norwegian Prime Minister appreciated the efforts of Mushal Malik for highlighting the Kashmir dispute. The seminar was attended by a number of people from different walks of life including researchers and intellectuals.